Eric Clapton’s 1978 Guild D55NT recently raised £25,000 (around $35,000) at an auction in New York City. The instrument was owned by Slowhand from 1978 to 1999 and used this particular guitar for both studio work and personal writing sessions. The guitar’s head-stock even has burn marks from where Clapton would place his lit cigarettes. 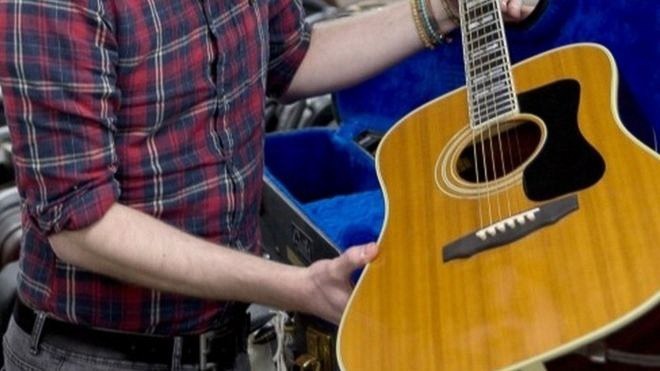 According to documentation provided, the guitar appeared to have the same strings as when Clapton owned it because they were tied off in the way used by his long-time guitar tech Lee Dickson. The money raised will be donated to Clapton’s foundation Crossroads which supports a drug and alcohol rehabilitation center. Clapton has an impressive resume raising money for his memorabilia at auction. His record remains at $959,000 for his legendary “Blackie” Strat back in 2004.